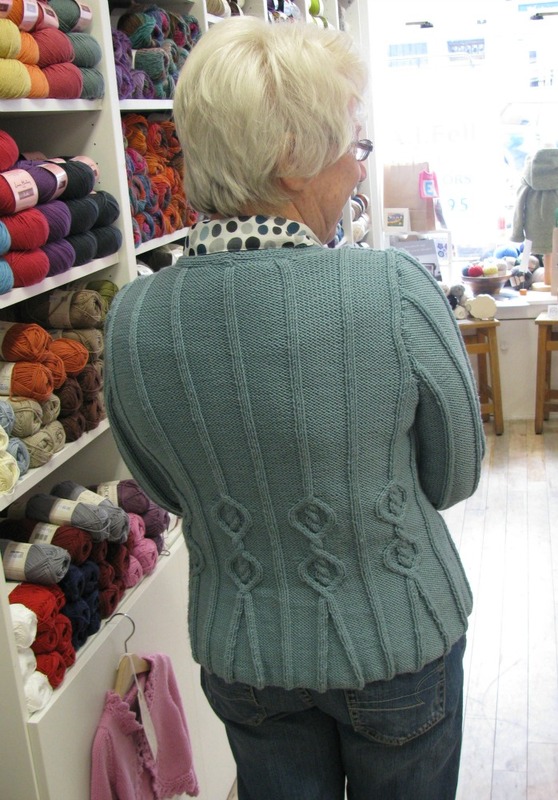 Eleanor popped in today to buy some buttons for her Peplum Cardigan from Debbie Bliss' Land Girls. 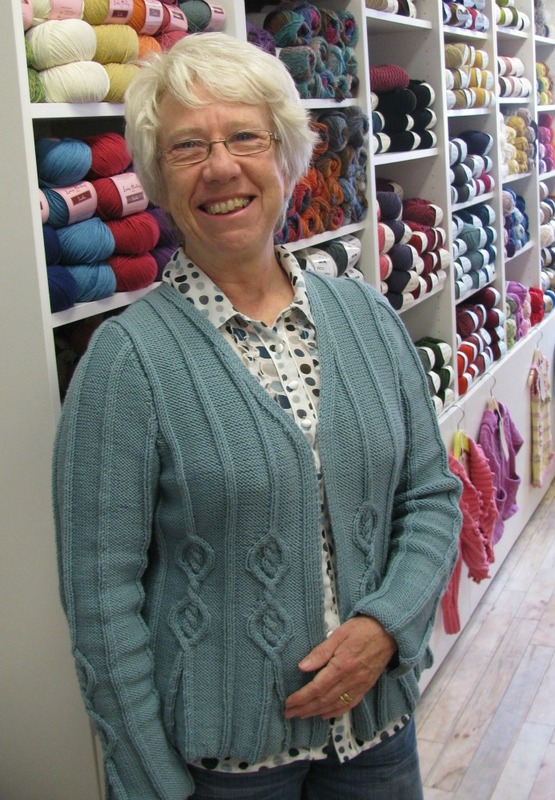 Knitted in Rialto DK its one of most popular patterns and its easy to see why...! That is a lovely cardigan - and what a cheerful smile!